Ballachulish is a village at the foot of Glencoe in the Scottish Highlands. Glencoe is a deep valley which forms the natural road route into this remote part of Scotland. 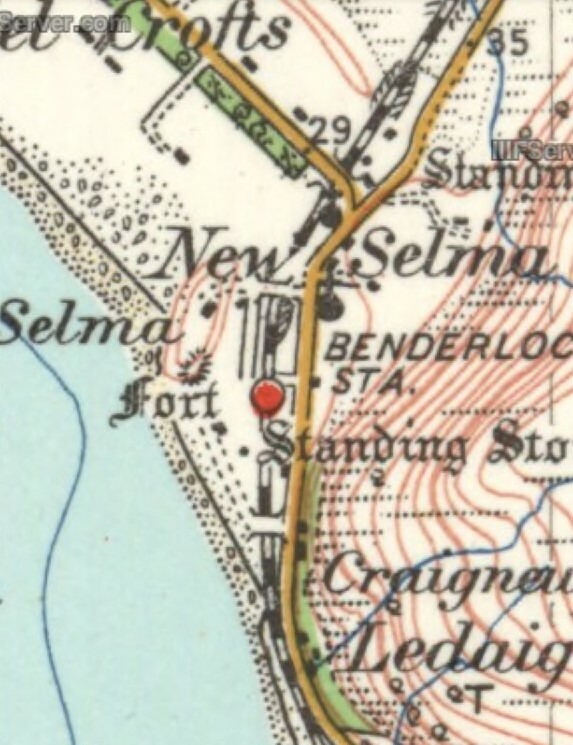 During the Victorian era it’s transport links centred around a steamer connection with Fort William, about 15 miles North, and Oban, a little further in a southerly direction. Despite its remote location, Ballachulish had extensive slate quarries and during the 1880s it was hoped that local interest would be served by a railway line from Crianlarich up Glencoe and on to Fort William. This was not to be. The Rannoch Moor route was chosen instead. 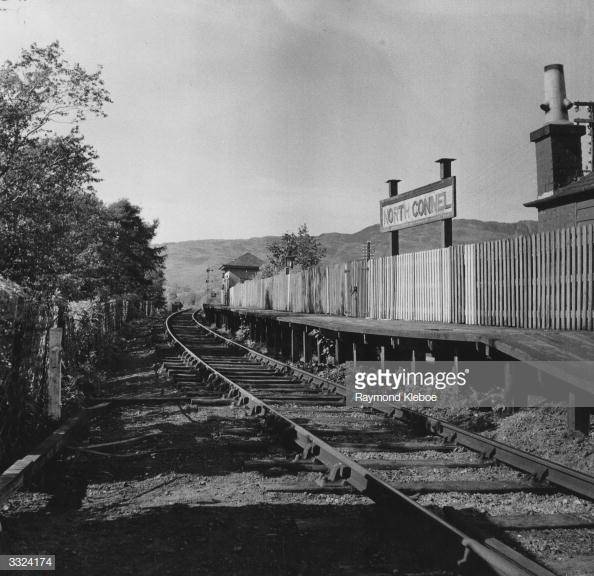 Other lines, such as an Oban to Fort William Railway failed to materialise. Ballachulish is a slightly confusing place. It’s not unusual to find places that come in two halves. But Ballachulish comes in two halves plus another, larger, settlement two miles along the road towards Glencoe. South Ballachulish largely comprises the slipway and the nearby Ballachulish Hotel. Close to the steps leading down from the bridge to the Oban road near the hotel is a memorial to James Stewart, hanged here in 1752 for the Appin Murder. This was the killing of Colin Campbell, an event used as the basis for Robert Louis Stevenson’s novel Kidnapped. Stewart’s execution was a result of the greatest miscarriage of justice in Scottish legal history. A number of the sites associated with the Appin Murder have been linked by the Last Clansman Trail. Ballachulish Bridge should not be confused with the Connel Ferry bridge closer to Oban. North Ballachulish is a little more developed and is home to an art gallery, lochside hotel and the slipway for the old ferry. The largest settlement carrying the name of Ballachulish lies on the south side of Loch Leven, a mile or so west of the village of Glencoe. This started life as the hamlets of East and West Laroch in the 1500s, names still attaching to parts of the village on detailed Ordnance Survey maps. In 1693, slate was first quarried here in the Ballachulish Slate Quarries (only a year after the Glencoe massacre took place nearby). By the early 1700s, this had developed into a major slate quarrying operation which continued for over 250 years until 1955, when the quarries closed. The name of Ballachulish simply seems to have attached itself to the larger village that grew out of the earlier settlements to house the 300 workers and their families. Construction work on the line started in 1898 and was completed in 1903. This was one of the last branch lines to be built in the UK. The following notes in italics are taken from an on-line article published on the website “Unseen Steam” on the 50th Anniversary of the closure of the line in March 2016. Images used are credited where possible and taken from a variety of sources. 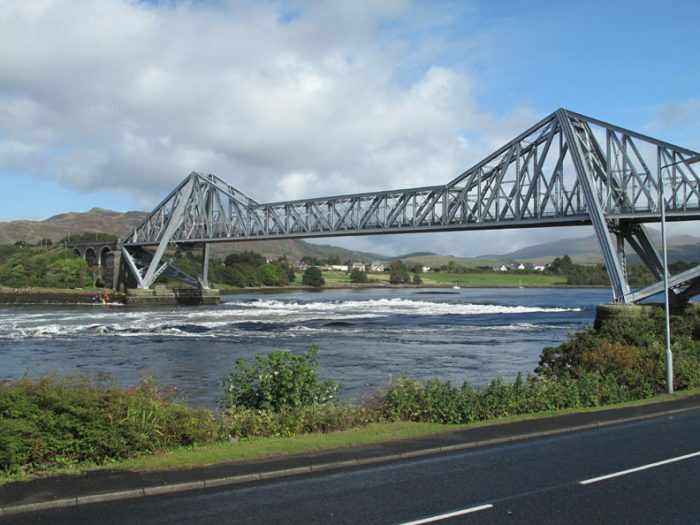 Although a triangular junction was authorised at Connel Ferry to permit direct Oban-Ballachulish services, in the event the north-west curve was never constructed. 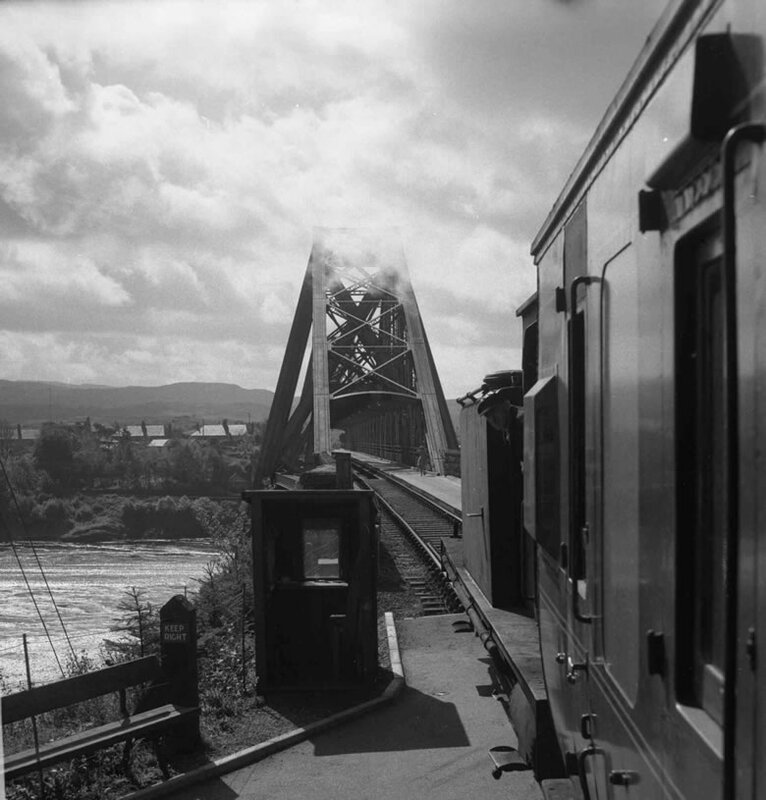 Originally both the viaducts had footpaths alongside; however, in order to counter a proposal by MacAlpine Downie to operate a ferry across Loch Etive in 1913, the Callendar &Oban Railway decided to make the railway bridge capable of handling road traffic. This was completed in June 1914 and saw the railway charge tolls for road users crossing the bridge; special signalling ensure the safety of the arrangement. 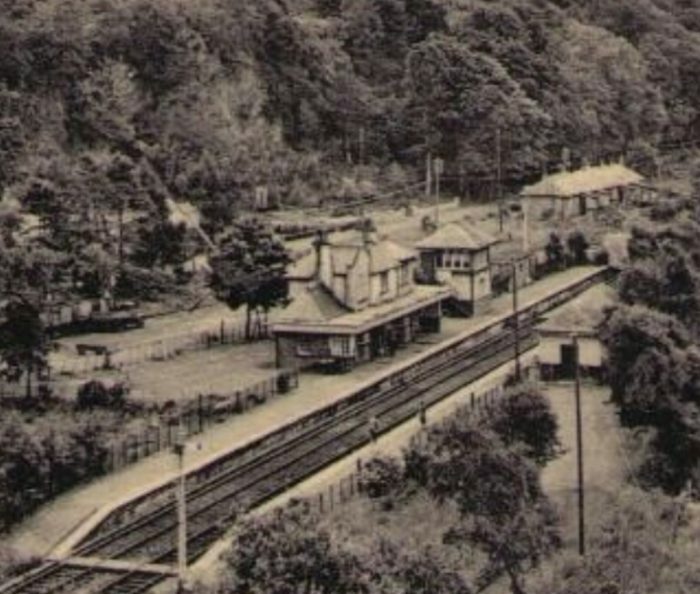 The 27½-mile long branch opened throughout to passenger services on 28 March 1903. There were intermediate stations at North Connel, Benderloch, Creagan, Appin, Duror, Kentallan and Ballachulish Ferry that opened with the line. Barcaldine Siding (Halt from 1960) followed in 1914; this station was closed during World War 2 and was used for summer services only for a period after reopening postwar. Ballachulish Ferry was to be closed between 1 January 1917 and 1 March 1919 as an economy measure during World War 1. The population of Ballachulish when the line opened was less than 2,000 but quarried stone represented a useful source of freight traffic. 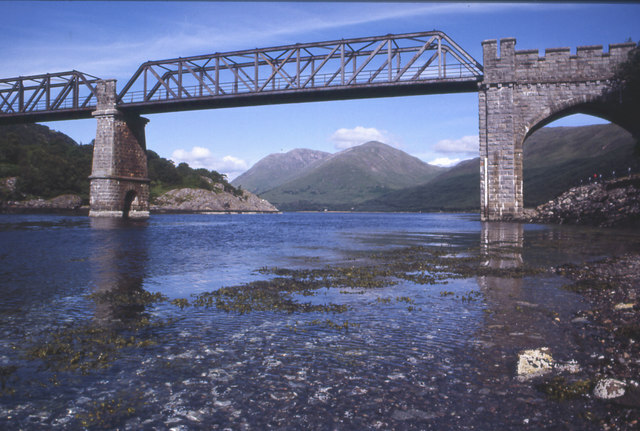 During the summer of 1910 there were three return workings over the branch each day, making a connection with the ferry to and from Kinlochleven. Services ran to and from Oban, with reversal at Connel Ferry. Down services departed from Oban at 8.20am, 11am, 5pm (Mondays, Wednesdays and Fridays only) and 8.30pm (Tuesdays, Thursdays and Saturdays only; this was the only working that did not connect with the Kinlochleven ferry). Up workings departed at 7.15am, 11.15am and 3.45pm. A single journey from Connel Ferry to Ballachulish took about 70 minutes. There was no service on Sundays. By the summer of 1947, the final year of the line’s operation by the LMS before Nationalisation in January 1948, there were still only three return workings per weekdays. Departures from Oban were at 8.10am, 12.5pm, 4.pm (except Saturdays) and 8.50pm (Saturdays only). Services departed from Ballachulish at 7.30am, 10.50am, 3.50pm (Saturdays only) and 4pm (except Saturdays). There was no Sunday service. A revised pattern of service was operated by British Railways (Scottish Region) during the period from September 1964 through to June 1965. There were two down departures from Oban, departing at 8.15am and 5pm with a third service starting at Connel Ferry at 12.30pm. 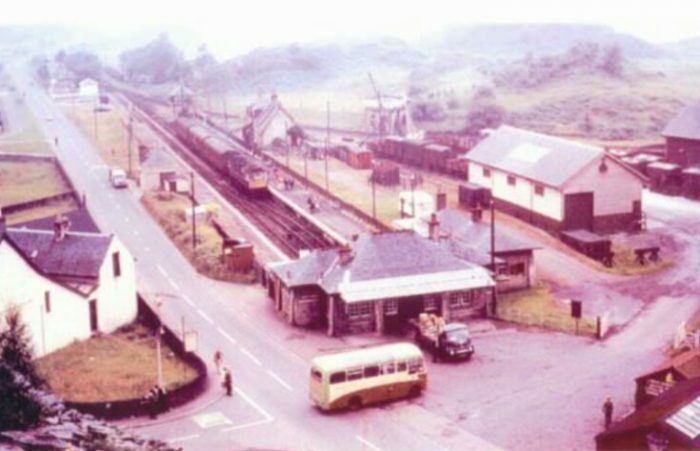 The station at North Connel was a request halt for both the 8.15am and 12.30pm services. In the up direction there were departures from Ballachulish at 7.14am (to Oban), 10.40am (to Connel Ferry), 4.20pm (to Oban) and a Saturdays only 6.57pm (to Oban). For all, apart from the 7.14am, the station at North Connel was a request halt. In terms of motive power over the line, the early years witnessed the operation of three generation of 4-4-0s specifically designed for the C&OR — the ‘Oban bogies’. 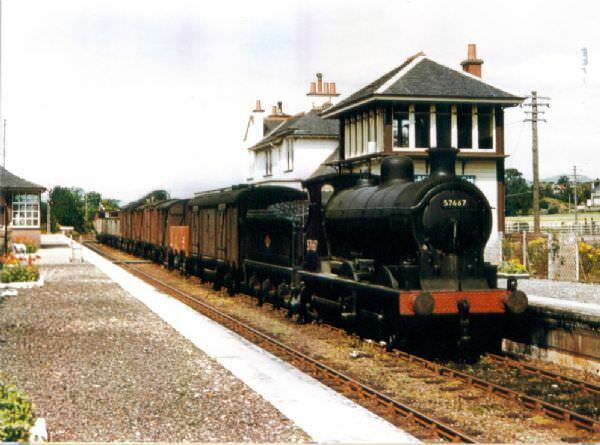 During the war Class 5 4-6-0s are known to have operated troop trains to Benderloch. In the later years, steam passenger services were dominated by Macintosh-designed ‘19’ class 0-4-4Ts. 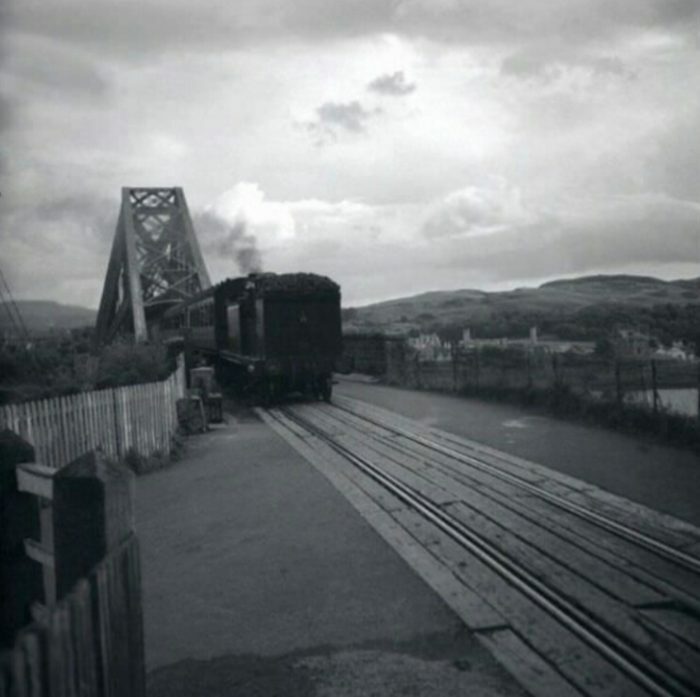 By the end of 1961, three of the class were based at Oban — Nos 55204/217/260 — but before the final demise of steam over the branch, these were replaced by ex-LMS or BR 2-6-0s. With the dieselisation of the C&OR main line and its branches to Killin and Ballachulish, 45 steam locomotives were replaced by 23 Type 2 diesel-electrics plus four diesel shunters. It was the diesel-electrics that operated the final passenger services over the line to Ballachulish. Whilst both the Crianlarich-Oban and Crianlarich-Fort William-Mallaig lines were not listed for closure under the Beeching Report of March 1963 — albeit a number of intermediate stations on the former were — the line to Ballachulish was not so fortunate. Passenger traffic ceased over the on 28 March 1966; with freight having ceased in June the previous year, the line was closed completely from that date. The red ‘x’ on the plan above marks the Connel Bridge which sits just to the north of the Calendar to Oban line. 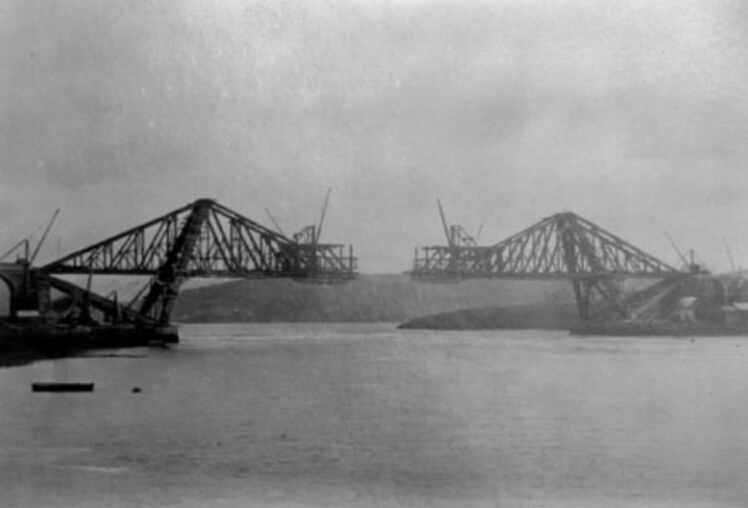 The bridge was the largest cantilever span in Great Britain aside from the Forth Bridge when completed. A truly unique bridge, it features several members positioned in unusual angles and inclines, resulting in a striking appearance that looks ahead of its time and may even call to mind images of modern cable-stayed and steel rigid-frame bridges. This bridge used steel from a large variety of companies and mills. Numerous names can be found on the steel and are documented in the enormous detail in the photo gallery available for this bridge. The bridge crosses the Falls of Lora, turbulent rapids that are strongly affected by tidal flows. 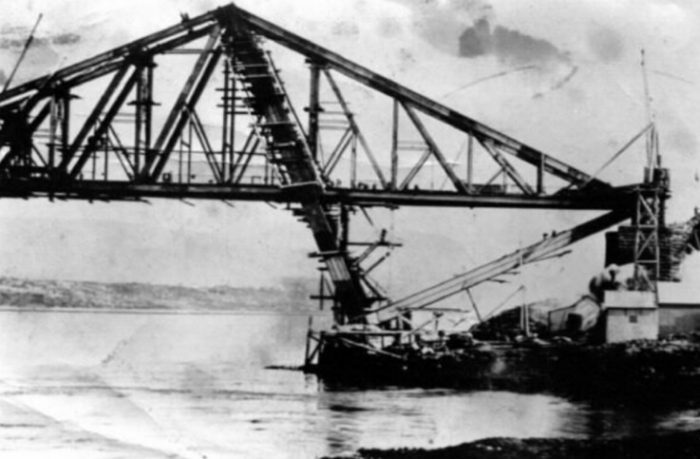 This is one of the reasons a cantilever truss bridge was constructed at this location. it could be erected over the waterway without the use of falsework in the fast-flowing rapids. The Transactions of the Institution of Engineers and Shipbuilders in Scotland, 1903 had an obituary for Thomas Arthur Arrol the builder of this bridge. Thomas Arthur Arrol should not be confused with the more famous Sir William Arrol, who also built bridges. Thomas Arthur Arrol was born in Glasgow on the 24th August, 1852, and was educated at the Collegiate and High Schools of Glasgow, and at the Glasgow University. He served his time as an engineer with Messrs P. & W. MacLellan and remained in their service till he became general manager. After spending a few months in the United States he returned to his native city and entered into partnership with his brother, the late Mr James Cameron Arrol. 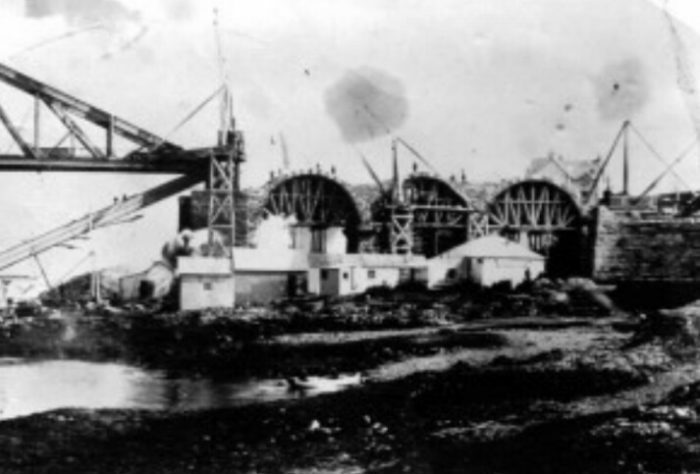 Together they founded the Germiston Works, at which roof and bridge building and general engineering were carried on until 1892. 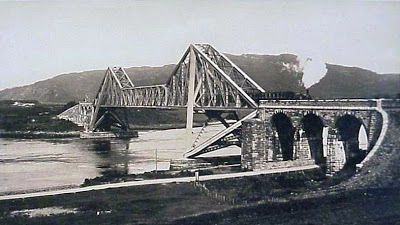 The concern was subsequently converted into a Limited Company under the designation of Arrol’s Bridge & Roof Co., Ltd., with Mr T. Arthur Arrol as managing director. Under his supervision many important contracts were successfully carried out, and among others in hand at the time of his death were those for the Connel Ferry Bridge, which is the second largest cantilever bridge in Europe; the Larkhall and Stonehouse viaducts for the Caledonian Railway; and the transporter bridge across the Mersey at Runcorn, which is the first of its kind in Britain. He died suddenly at Aberdeen on 29th October, 1902. Mr. Arrol joined the Institution as a Member in 1875, and took an active interest in its affairs. He was a Member of Council for Sessions 1882-84, and a Vice-President for Sessions 1884-86. He was again elected a Member of Council in April, 1901. 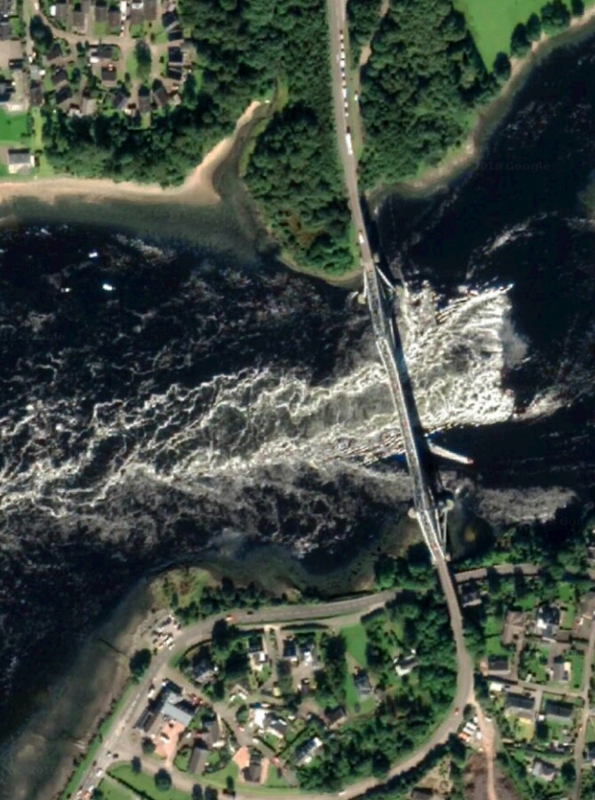 A striking overhead image from Google Earth showing the bridge and the Falls of Lora. 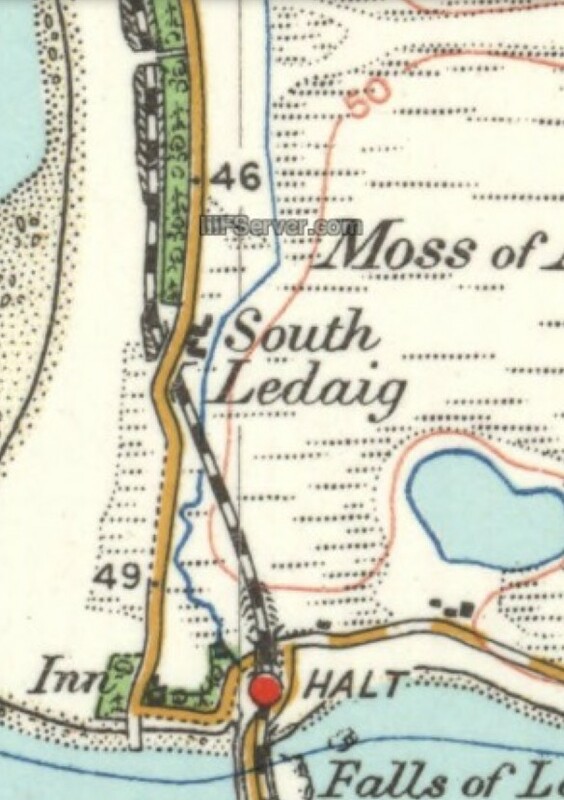 Further North the line followed the line of what is now the A828. The original road north ius now an access road for Oban Airport. The roads crossed the line just south of North Connel Station and dropped down to meet the roads on the north side of Loch Etive before passing under the line in a westerly direction. The road then turned sharply to the north and passed over the line on a bridge at South Ledaig. The old road and the railway ran parallel to each other heading north through North Ledaig and on to the next station at Benderloch. Approaching Benderloch the two ran immediately next to each other as can be seen on the adjacent OS Map. 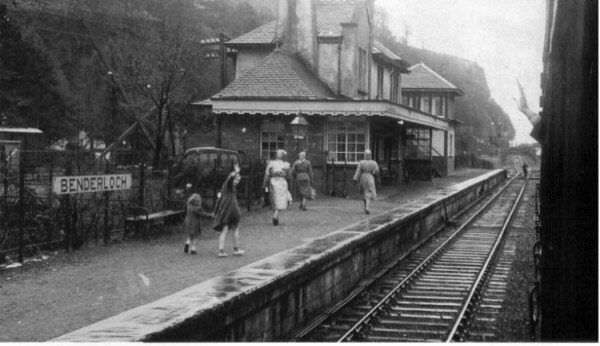 The station at Benderloch was laid out with two platforms, one on either side of a crossing loop. There were sidings on both sides of the line. There was a large two story station house in the style typical of the line, one of which still remains at Duror. There was also a standard design signal box. 2. https://www.undiscoveredscotland.co.uk/ballachulish/ballachulish/index.html, accessed on 1st January 2019. 3. https://www.railscot.co.uk/companies/B/Ballachulish_Branch_Callander_and_Oban_Railway, accessed on 1st January 2019. 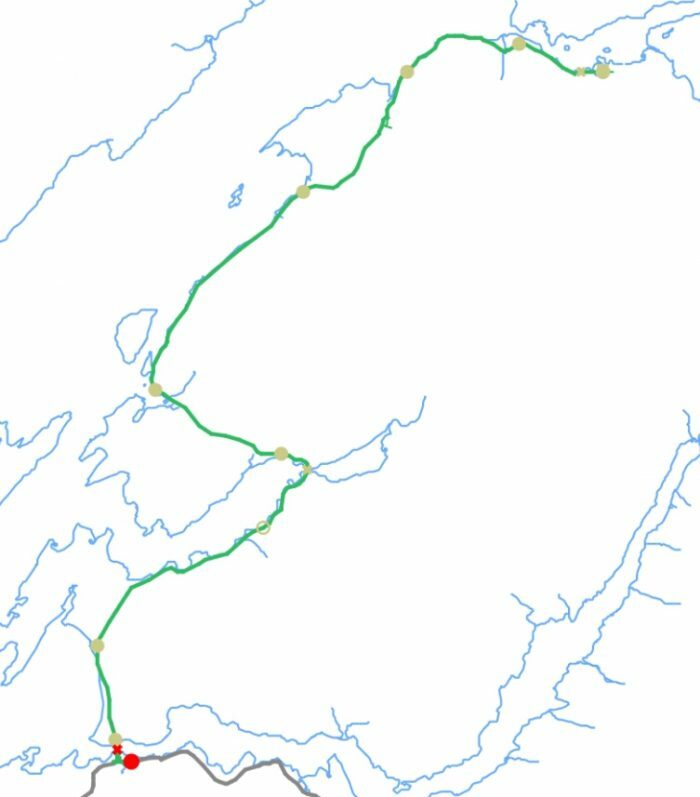 4. http://oldappin.com/ballachulish-railway-line, accessed on 1st January 2019. 5. http://www.unseensteam.co.uk/News-spotlight/Ballachulish-closure, accessed on 1st January 2019. 6. https://www.geograph.org.uk/photo/1589044, accessed on 1st January 2019. 7. https://www.westcoasttours.co.uk/blog/2016/connel-bridge-and-the-falls-of-lora, accessed on 1st January 2019. 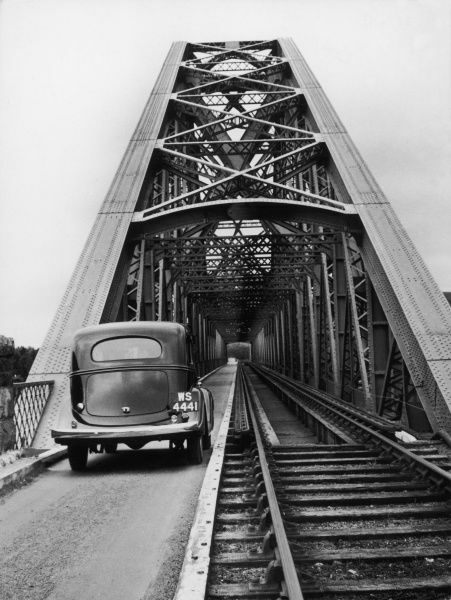 8. https://historicbridges.org/bridges/browser/?bridgebrowser=unitedkingdom/connelbridgeconnelbridge, accessed on 1st January 2019. 9. https://www.amazon.co.uk/Media-Storehouse-Poster-Connel-4331400/dp/B07BB5HMYH, accessed on 1st January 2019. 10. http://www.myrailwaystation.co.uk/FORMER%20LOCATIONS/pages/NORTH%20CONNEL%20STATION_%20With%20the%20station%20behind,%20the%20train%20crosses%20the%20road%20before%20moving%20on%20to%20the%20bridge_jpg.htm, accessed on 1st January 2019. 11. http://ardchattan.wikidot.com/benderloch-station, accessed on 1st January 2019. This entry was posted in Railways Blog on January 1, 2019 by rogerfarnworth.